The Internet has changed the way essays are published - or that essays are even available to the public at large: Essays are Blogs! I found that concept so novel that I posted a short article about that. 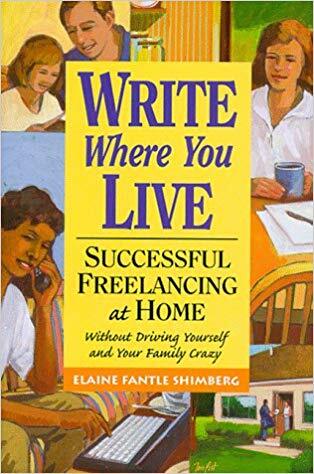 I discovered Shimberg's "Write Where You Live" on my bookshelf. I have no idea how long it's been there. It's obviously an acquisition from some earlier shopping spree at a local Friends of the Library book sale in Safety Harbor. It could easily have been on that shelf for half a decade. The book itself is obviously a commercial assignment. It's presented as a How-To-Do-It book, with less humor than some edition of "Writing For Dummies." By this time Shemberg was a successful, published author, so I can imagine her writing and submitting a formal proposal to her publisher for this project. The last 25% of her book talks about taking care of yourself! This includes attitude, socialization, breaks, vacations and the associated challenges. I had gotten only as far as the first chapter before I started taking notes. The chapter leads with the question "What do you want to write?" I captured that question in my notebook. I no longer have the imagination for fiction. Indeed, I don't read much fiction today. The only fiction books I remember reading in the last few years were the Trespasser series by Ned Johnson. He was my creative writing instructor at St. Pete College, but I didn't read the books until after I had completed his class. I've already started writing non-fiction. I learned a lot about publishing on the cheap with my mother's book, "Give Me A Broom To Sweep Away the Cobwebs from My Mind." The first bound editions were printed at Kinkos. Later, I discovered CreateSpace.com, and through them Mom's books is now available on Amazon. In my own creative writing class I outlined and began Jaggers' Memoir series, but none of them have been released yet. That is a semi-current project, and I've mentally incorporated my interest in genealogy for future efforts. What I did publish through Amazon in 2016 was "Living With the HOA," and in 2018 I republished my grandfather's book through Amazon "A Kentucky Schoolteacher's Doggerel." And, of course, I have this blog (Jaggers.pw) and one from my Internet business (ABCInc.biz). You'll notice these are all non-fiction efforts. Even in my grandfather's book, I only added disclaimers and a short history. But what brought me up short in Shimberg's book was "What is your motivational mission statement?" She posits that since business 'mission statements' are in vogue, writers should recognize why they write, and to articulate it as a mission statement. And I don't have one. But the core message, for me, is that writing takes discipline, especially to generate revenue. 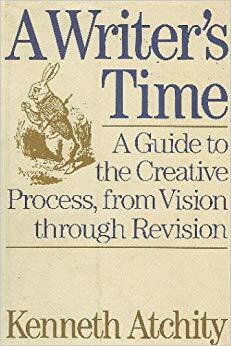 She says "...need self-discipline to make the time to write, otherwise the days tend to slip away...focus on the goal of finishing..."
Guilty, as charged! The days have slipped away, and suddenly a week, and two weeks, and a month has passed and I haven't started (much less finished) anything!! Shemberg cites her personal goal to write 4 pages a day (about 1,000 words) to pace herself. Another note that I captured was "...need to build a balance between working at home, working outside home, non-working time, chores and pleasure..." I'm unsure if this is a personal reflection at 1:00am or a direct quote from her book that I had copied down..
Today is blogging, but I'm planning to join friends for dinner this evening!